3 of 21: Oh how a healthy heart can heal an entire family. Oh how a healthy heart can heal an entire family. 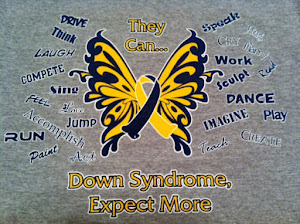 Having a child with Down syndrome can bring many challanges. The hardest day for me and Chad was October 13, 2011, the day Emmalin had to undergo open heart surgery. For the last year I have not shared these pictures. We have kept them very private. No photo sharing on facebook and only one or two shared via text. I felt that they were just too hard on the eye. One year later I feel different. I feel that it is important for future parents to see our journey. To see the incision, the tubes, the monitors, the tape, the IV's and the breathing tube. Please know that everything your child will endure will make him or her stronger, healthier and happier. All of those cardiologist appointments that you race to will soon be scheduled farther apart. Your child that did not have the strength to make it through a feeding without sweating and falling asleep will get stronger. All of those nights of checking and double checking and triple checking will get better. The anticipation of what is to come will feel completely different. There will not be "fear of the future" there will be "hope for the future". After you see your child and your family conquer this you will realize that God's plan is good, he is in control and everything is going to be okay. God gave us a child with Down syndrome because he knew our family was strong. He gave us a heart patient because he knew we needed to be reassured that all will be okay. Prayer, time, patience, faith and trust have carried us through. If you are the parent of a child that will undergo surgery please know that this post is meant to start your healing process now. We started to heal after Emmalin's surgery. We were entering a world of the unknown. Prior to Emmalin's surgery I thought I was struggling with her Down syndrome diagnosis. After her heart repair I quickly realized that it was not the Down syndrome that scared me it was the heart. The heart I could not fix, the heart could kill her, to be blunt...the heart scared the hell of me and I wanted no part of it. It was much bigger than me and too big to comprehend. It was the first thing in my life that I was too scared to hold on too but too scared to let go of and turn over to God. She is MY child and I wanted her to have a healthy heart. Chad reminded me to trust God and turn to my faith. He once again stood strong and lifted me up from my fear of the unknown. That fall morning in October we were no longer the parents of a child with Down syndrome, we were the parents of a child with complete atrioventricular canal defect or CAVCD for short. Emmalin had a large whole in the middle of her little heart. She only had an upper and lower chamber, no left or right. It would be the job of the Dr. Michiaki Imamura to repair her defect and our job to pray for God to guide his hand. Emma the day before here surgery getting her final EKG all 13 electrodes. The morning of-walking into Arkansas Children's Hospital. Waiting for the doctors to come and get Emmalin. We had great support from That Church who came to pray with us and the doctors prior to surgery. Thank you to Scott Harness and an amazing staff. I thought I was prepared, I thought I was in a good place, I thought I was at peace...until I had to hand her over. Then I realized that I wanted to run. Run with Emma as far away as fast as I could. Then I started to cry, then I started to shake and Lord did I shake. Then I prayed, and prayed and prayed. Loving Father, I entrust my child to your care this day; guide with wisdom and skill the minds and hands of the medical people who minister in your Name, and grant that every cause of illness be removed, may my child be restored to soundness of health and learn to live in more perfect harmony with you and with those around her. Through Jesus Christ. Amen. Hours later, it was time to see her. Emma enjoyed her music every night. She had everything from The Beach Boys to Dolly Parton to Loretta Lynn to nursery rhymes and Mozart. Dad looked good the entire time at the hospital. Amazing staff made it a little easier to get some rest. Collapsed lung a few days after surgery. We did not expect that, but she recovered fast. Finally after hours and hours and hours....it was time to hold her. Time to feel her new heart against mine and watch her breath on her own. Getting stronger and stronger. Eyes open and feet kicking. Dad and mom starting to see the light at the end of the tunnel. Surrounded by so much love and compassion. Finally eating on her own. In stepdown at CVICU and Emmalin resting comfortably. Chad trying to lighten the mood a little..always room for dessert. Aunt Tracy came to sit and play with her niece Emma while dad and mom had date night at the hospital. She brought steak and goodies compliments of Uncle Chris. Oh family and friends support was unbelievable. We are truly blessed. Emmalin's last nurse in step down. She also has a child with Down syndrome and was a true angel. Home and resting on mommy. Emma 6 months later with her cardiologist Dr. Sachdeva. So so so strong and happy. Mom brings the crawling track out after chest has fully recovered. Emma protests by flipping over. What am I suppose to do with this again? Could not do this before my surgery. First official World Down syndrome day in the Ambeau house. First weekend at the lake. Look at Emma feeding herself like a big girl and sitting up. Nana and Papa's house and cowboy hats. First time to taste ice cream does call for party hats. Eating and eating and eating. Getting so much bigger and stronger. Uh oh...don't let PT see this please. Banging things together and getting into things. Love It. Getting tubes...will be hearing everything 100% of the time soon. And sneaks up and looks up. Mom insisting on a correct crawl. Straw drinking with honey bear. Oh a proud day. Oral motor therapy. Over with in no time and on to some grub. Putting objects in all alone. Climbing to see Emma's beautiful face. Saying NaNa and Bye Bye. As I said earlier, we were the parents of a child with complete atrioventricular canal defect or CAVCD for short but we are now the parents of a child with CAVCDR or complete atrioventricular canal defect REPAIR. Oh how far our family has come in 1 year. Thank you God once again for Emmalin, Down syndrome and a healthy heart. Give yourself fully to the adventure of today. Walk boldly along the path of Life, relying on your ever-present Companion. You have every reason to be confident, because My Presence accompanies you all the day of your life-and onward into eternity. Do not give in to fear or worry, those robbers of abundant living. Trust Me enough to face problems as they come, rather than trying to anticipate them. Fix your eyes on Me, the Author and Perfecter of your faith, and many difficulties on the road ahead will vanish before you reach them. Whenever you start to feel afraid, remember that I am holding you by your right hand. Nothing can separate you from My Presence! An amazing support group that continues to grow is so important. Thank God we have one. Loved reading your post. Brought back many many memories. We were there exactly a year to the day of Scarlett's heart surgery last week for her ear tubes. Emmalin is growing so big and looking so good. So glad that she has done so well. I pray everyday that one day we will not have to have all this medication and we can take this oxygen machine out of our house.